Given that the election of 8 May is unlikely even marginally to change the South African social and economic reality, spelling out IMF involvement becomes a post-election imperative, writes Denis Worrall. Like so many others I have listened to several presentations on the likely results of the election and speculations on the respective voting performances at national and provincial level of the different parties. Something that has been missing in these exercises is that this election or more specifically its outcome is almost irrelevant to the state the country is in. The election will happen on 8 May. But the next day many South Africans will wake up to being hungry and not having a job or access to the most elementary domestic services, an unreliable Eskom, a bankrupt SAA, a debt-burdened SABC and numerous other similarly crippled state entities. This will be adding to a shocking government debt of 55% of GDP and increasing by the day; low and declining economic growth and a lack of domestic and international investor confidence; one of the world's top mining industries broken as a consequence of government policy and interference; high levels of unemployment – particularly in respect to youth; delivery service failures mainly affecting the poorer classes; deteriorating credit-worthiness and declining productivity and a grossly incompetent and bloated public service. Yet one of the costliest governments around. So South Africans will wake up after the excitement and buzz of the election to a country which, as one serious commentator puts it, has been mismanaged for 25 years. If our political system stays as presently operated and our politicians can't turn things around, what should be done? South Africa is not short of capable and clever economists, social scientists and political analysts. RW Johnson is one of them. In 2015 he published a book with the challenging title How long will South Africa survive? The looming crisis. His analysis of South Africa at that time and in effect since 1994 was devastating. He clearly saw the South Africa I have described above emerging. 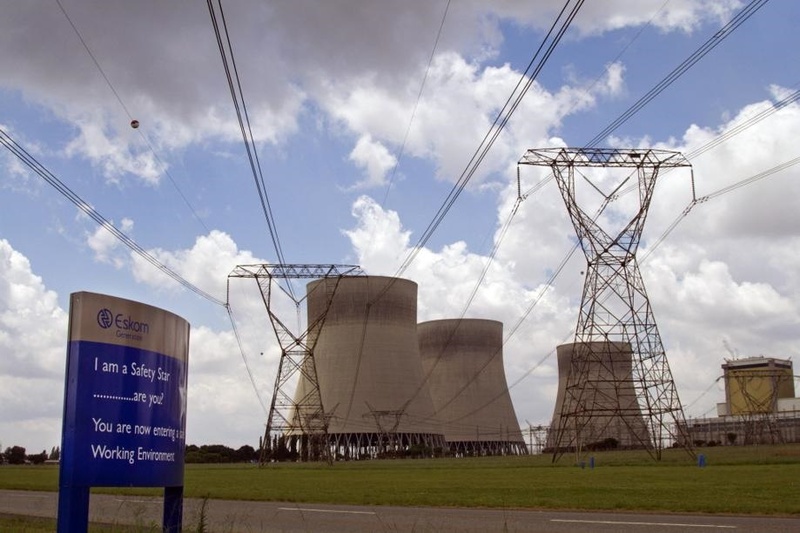 For example, he wrote of Eskom, which is today publicly regarded by one rating agency as the biggest threat to South Africa's future, as follows: "the government took over a public electricity provider in rude health with 25% spare capacity and the cheapest electricity in the world. In 20 years it has reduced that to a shambolic wreck unable to provide a reliable electricity supply even at extremely high cost." Johnson's main concern at that time was South Africa's growing indebtedness with, as he puts it "promises made by ANC politicians which seemed increasingly detached from reality". The promises of "millions" of jobs being created was the purest of fantasy. And each successive year the state had gone more heavily into contingency funding. Johnson concluded that what was happening at the time was that the whole national and local system of government and administration "was simply unravelling under the weight of ubiquitous corruption, a ludicrously ill-equipped public service and a whole series of policy blunders". In October 2012 the IMF warned South Africa about its rising public debt – by then 41% of GDP and rising. What struck Johnson was the diminishing willingness of foreigners to fund that debt. In his view, what was needed in response to this baleful situation? Aside from tackling corruption and incompetence and bringing about structural changes, he was one of the first persons to introduce the possibility of an IMF bailout – even though tentatively. But in his most recent book Fighting for the Dream which really is a follow-on to How long will South Africa Survive? there is no wavering. He thrusts known ANC opposition aside. The time for an IMF bailout has already arrived! It is the best course if South Africa is to avoid a serious calamity as a country and a people. This is not the place to elaborate on how an IMF bailout works or the demands it will make on the South African citizenry. Or how it should be put in place – Johnson even suggests a government of national unity. But given that the election of 8 May is unlikely even marginally to change the South African social and economic reality for the better or improve the lives of citizens or seriously contribute to solving the challenges they face, spelling out and promoting IMF involvement becomes a post-election imperative to major corporates, leading citizens, professional people, concerned citizens and, I hazard to suggest, this news service and other media. - Denis Worrall is a former Democratic Party leader and South African Ambassador in London. His recently published memoir, The Independent Factor is available at all leading bookshops and online, Amazon and Kindle.